The BackCountry2 Maps are beautifully illustrated and specifically tailored for digital use, making them easy to read and use on your iPhone or iPad. The 250K scale is perfect for Caravan and 4WD touring, providing an excellent overview of the whole of Australia. The addition of over 3000 Caravan and Campsite POIs will take the user experience to a new level by allowing you to browse and navigate to the Campsite or Caravan Park of your choice. The maps also feature new names that are location specific. This means searching for your desired destination will be even easier than before. 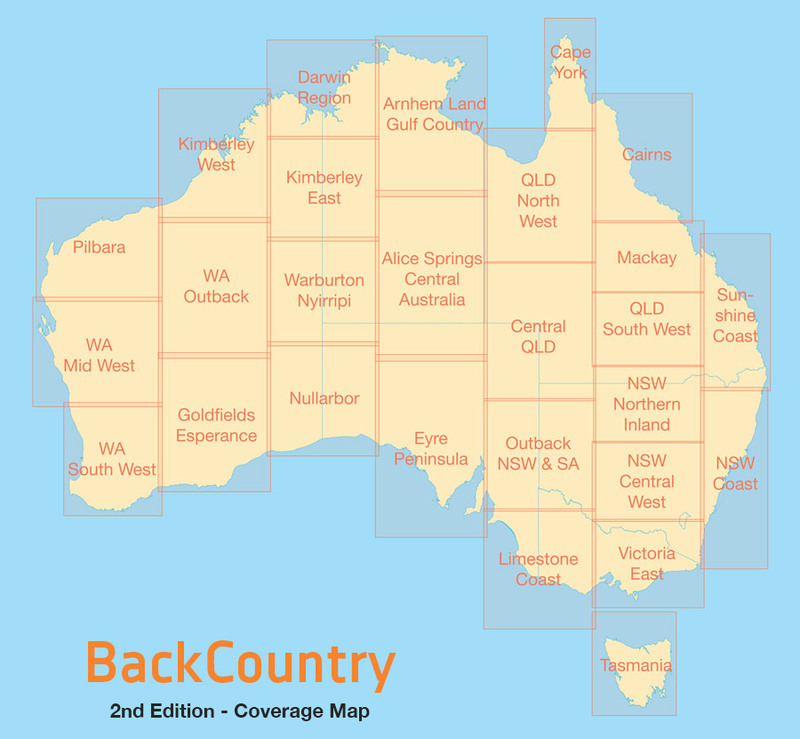 Maps are now named by region of interest such as: Alice Springs and Cape York . Allowing you to easily find and navigate to your destination. The BackCountry2 Maps will be made available for free to all exiting Mud Map HD users. They are also included in our M7 GPS range and available for preview on the Map store. We would like to thank you all of our continuous support and we hope you enjoy BackCountry2.